Energy Star windows are certified by the U.S. Department of Energy based on their energy efficiency due to replacement windows ratings such as U-factor and SHGC (solar heat gain coefficient). These ratings are determined independently by the NFRC (National Fenestration Rating Council). Energy Star windows are intended to help homeowners reduce energy consumption in their homes through more efficient materials and better ratings. The Energy Star Windows Program was originally founded by the EPA (Environmental Protection Agency) back in 1992 as a labeling program for computers and monitors. The EPA’s program soon became affiliated with the United States Department of Energy as a way to indicate to consumers the level of energy efficiency that various products offer. The Energy Star Program is now affiliated with thousands of organizations with the aim of helping consumers select energy efficient products, ranging from replacement windows and doors to skylights, home appliances, heating and cooling systems, home insulation, light fixtures and other home related products. The average homeowner can save about $126 – $465 in annual utility costs when replacing single paned windows with qualified Energy Star certified windows. 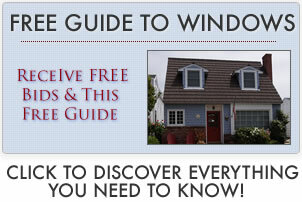 Replacing double panes with Energy Star certified windows can save as much as $111 annually. The actual amount of savings will depend on the climate in which you live, the location of your windows and how many you have installed, the size of your home and how inefficient your previous windows were. There is no difference in replacement windows installation that are certified compared with those that are not certified, but they recommend that installation be completed by trained professionals. This will better ensure that they are properly installed, meet all manufacturer specifications, are installed with energy efficiency in mind (such as proper insulation), and that the window warranty is not voided due to improper installation. How Much Has The Program Helped To Reduce Energy Costs? Each year more and more consumers become aware of the Energy Star windows program and the benefits afforded by Energy Star products. It is estimated that in just 2008 alone, $18 billion was saved in energy costs. The amount of savings will continue to rise as more and more consumers discover the benefits of choosing Energy Star windows and other home products. Added incentives, such as federal tax credits and rebates will help to further the attractiveness of this program and should result in increased savings. For example, Energy Star® rated windows with blue federal tax stickers can earn consumers up to a $1500 tax credit in 2010. Certification from one of the window manufacturers is required in order to be eligible for the tax credit.